NEW YORK, June 29, 2012 -- Students from high schools and middle schools in Brooklyn, N.Y., visited the Northrop Grumman Corporation (NYSE:NOC) New York Solutions Center for a demonstration, tour and interactive discussion about civil security, public safety communications, and careers in technology fields. The students were participants in the New York State Education Department Science and Technology Entry Program (NYSED – STEP). STEP's mission is to provide underrepresented or economically disadvantaged middle and high school students with activities designed to assist them in acquiring the skills necessary to pursue post-secondary educations leading to careers in scientific, technical and health-related fields. The School of Professional and Community Development at Medgar Evers College, part of the City University of New York system, manages the program for students in Brooklyn where the New York Solutions Center is located. 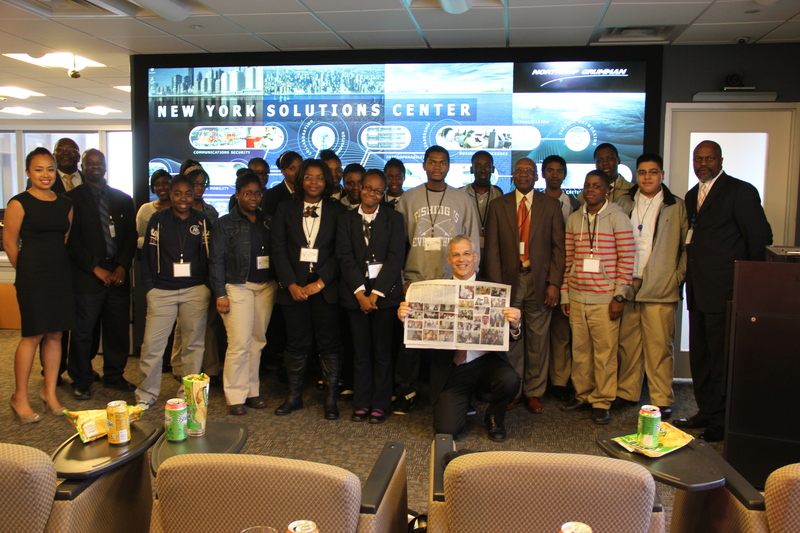 The students were given an introduction to the New York Solutions Center and an overview of public safety broadband communications and solutions, built and operated by Northrop Grumman. They learned how advanced technologies enable first responders to communicate more quickly and efficiently with each other and with their commanders to make their communities safer. The students were also shown a five-minute video produced by Northrop Grumman, Amaze Yourself , which dramatically illustrates the wonder of science and technology education. "Northrop Grumman is an avid supporter of science, technology, engineering and math education on a national level," said Tom Afferton, director of Public Safety Systems and Solutions, Northrop Grumman. "The Medgar Evers College STEP program allows us to work in the community to help get our next-generation workforce excited about cutting-edge technologies in civil security." "The STEP visit captivated our students," said John Brown, a STEP director at Medgar Evers College. The program affords students an opportunity to align their academic efforts, their limitless potential and their excitement in technology," said William Bailey, also a STEP director at Medgar Evers College. "It brings them closer to their academic and professional goals." For more information on STEP, visit http://www.highered.nysed.gov/kiap/step/ . Medgar Evers College, named after Medgar Wiley Evers, a black civil rights activist assassinated in 1963, was founded in 1970 through the efforts of educators and community leaders in central Brooklyn. Learn more about Medgar Evers College at http://www.mec.cuny.edu/ . Northrop Grumman is actively engaged in supporting STEM and cybersecurity education, training and technology. 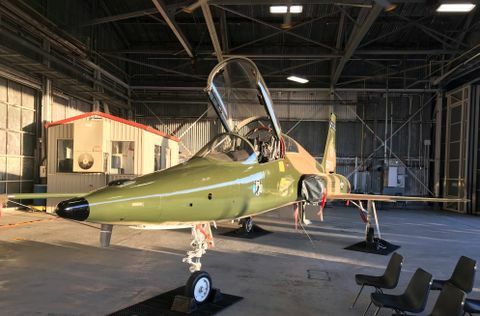 The company is a sponsor of the Air Force Association's CyberPatriot national high school cybersecurity competition and the Mid-Atlantic Collegiate Cyber Defense Competition. Northrop Grumman and the Northrop Grumman Foundation support diverse and sustainable national-level programs that enhance the education experience for students and provide teachers with the training and tools they need to be successful in the classroom. Foundation initiatives include ECO Classroom , CyberPatriot , VEX Robotics, Sally Ride Science, U.S. Space Camp, Science Buddies and Great Minds in STEM. See Northrop Grumman's Corporate Responsibility Report for 2011 details about these programs. 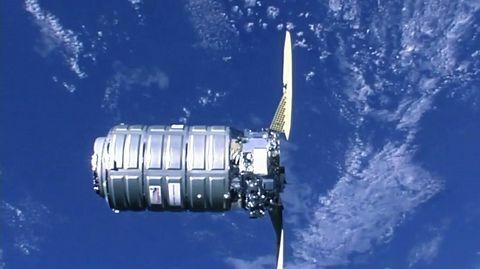 For more information about the Northrop Grumman Foundation, go to www.northropgrumman.com/foundation .